3M has announced the return of its popular Safety Spotlight Webinar Series for 2017 – promising it will be bigger and better than ever before. For the seventh year running, the science-based technology company’s technical experts will share their knowledge of workplace issues, hazards and training methods through the programme. This year’s free series will comprise 16 webinars, spread throughout the year. Each will be broadcast live online, allowing viewers to ask questions in real time. The webinars will be relevant to a broad range of industries, and aimed at everyone from employers and health and safety managers to workers. Topics will range from the all-encompassing, such as training and compliance, to the sector-specific, such as automotive bodyshop safety. 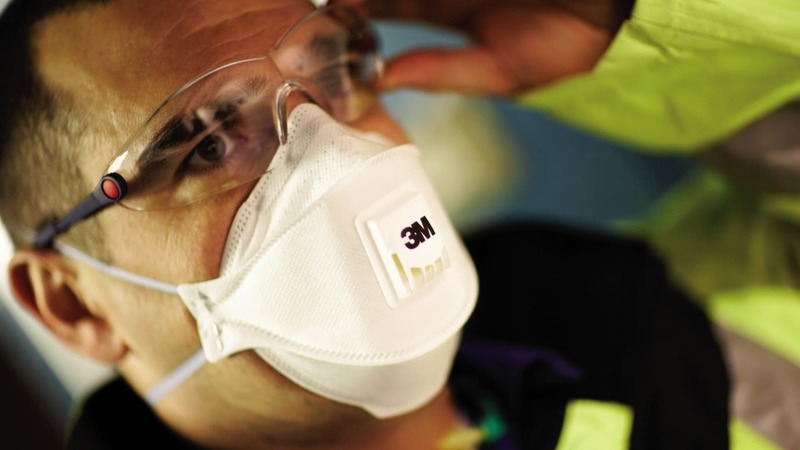 Responding to feedback, 3M has built on its offering from previous years. As such, the 2017 series will include requested topics new to the programme, such as working at height. Richard Davies, senior marketer for the 3M Personal Safety division, said: “The 3M Safety Spotlight Webinar Series is growing in popularity every year, so we’re delighted to confirm it will be running again in 2017. “These free webinars offer something for everyone, and provide a great opportunity to ask questions of our experts without even leaving the desk. The first four webinars have now opened for registration on the 3M dedicated webpage. The first will take place on 24 January from 12.00 noon to 1.00pm, presented by Alan McArthur, UK technical services supervisor for the 3M Personal Safety division. Alan will discuss personal protective equipment (PPE) compatibility, offering tips for spotting and solving problems, before taking questions. Alan said: “This will be a great talk to kick off the series. “I’ll be discussing how PPE compatibility can improve compliance, make workers’ lives easier and increase productivity. The second webinar will run from 12.00 noon to 1.00pm on 22 February, focussing on working at height. The third, titled ‘An introduction to Respiratory Protective Equipment (RPE)’, will run from 12.00 noon to 12.45pm on 2 March. The fourth, titled ‘PPE – Protecting your workers and your business’, will be held on 30 March, from 12.00 noon to 1.00pm. Details of further talks will be announced nearer the time.